The hotel is closely connected to the best entertainment and tourist attractions in Ha Long city which are easily accessible by both private and public transportation. Details of city tours and bay cruises are provided at our tour desk. 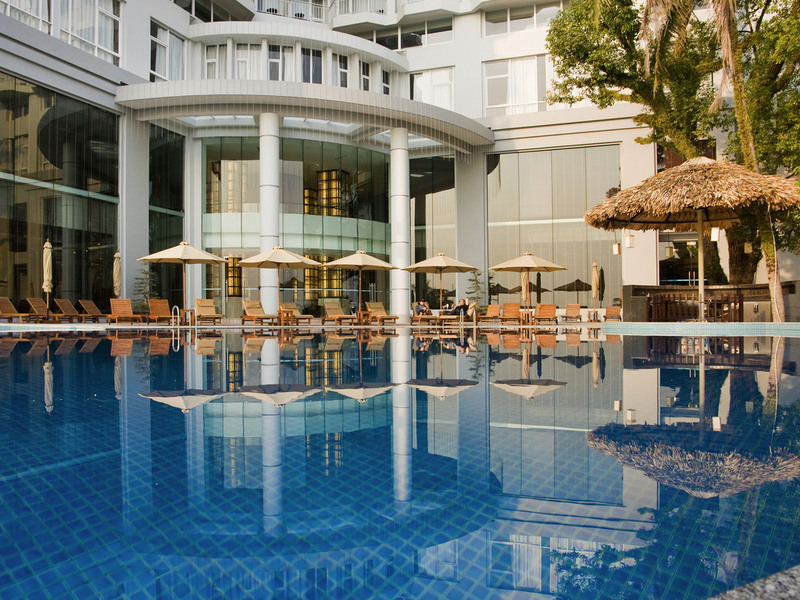 The Square offers all day dining in a modern tropical setting overlooking Ha Long Bay. Serving international and traditional Vietnamese food, The Square also features an open grill counter and range of fine wines. The Lobby Lounge Bar is the perfect venue to have a quiet drink with friends, a casual meeting or to simply admire the magnificent sunset over World Heritage listed Ha Long bay. Daily live music features from 6 p.m. Enjoy a dip in the pool before sipping on a cool cocktail, beer, juice or shake from The Pool Bar. Located poolside, the bar also serves a range of specially flavoured teas, coffees, soft drinks and fruit cocktails.